Janet Felleman was recently appointed the New York State Parks Commissioner and chair of the New York City Region. Previously she was the CEO and President of American Show Advisors, which creates, markets and develops trade shows and conferences. She was the founder and former CEO of Corporate Presentations, the corporate parent of LegalTech, which was acquired by American Lawyer Media in 1998. 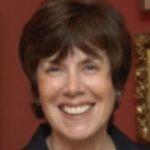 Janet is a trustee of Central Synagogue and on the President’s Council of Prep for Prep.